YOLO! But YODO as well, right? 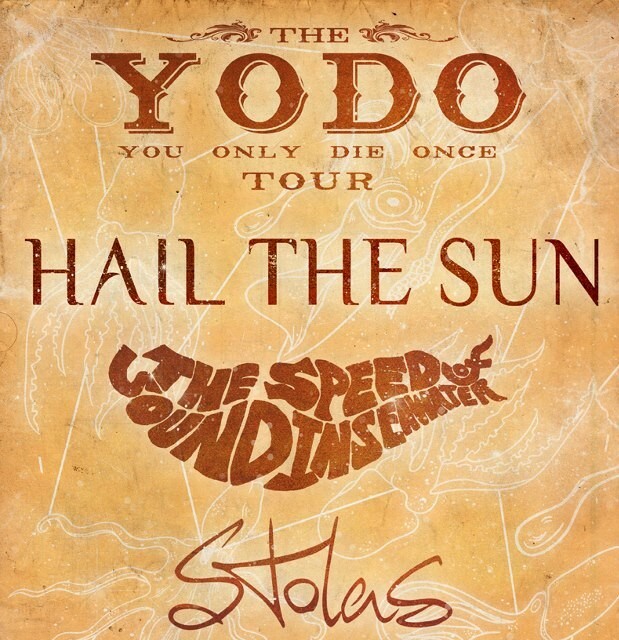 Unless you become a zombie, but whether they can die again or were dead in the first place can be left to debate and really has nothing to do with the fact that one of our favorite bands, Hail The Sun, have announced some tour dates with their friends in The Speed of Sound in Seawater and Las Vegas natives, Stolas. If you recall, we recently gave Stolas’ new album a 9 out of 10. Yeah, it’s that good.